Mathematics allows economists to form meaningful, testable propositions about wide-ranging and complex subjects which could less easily be expressed informally. Further, the language of mathematics allows economists to make specific, positive claims about controversial or contentious subjects that would be impossible without mathematics. Much of economic theory is currently presented in terms of mathematical economic models, a set of stylized and simplified mathematical relationships asserted to clarify assumptions and implications. Meanwhile, a new cohort of scholars trained in the mathematical methods of the physical sciences gravitated to economics, advocating and applying those methods to their subject, and described today as moving from geometry to mechanics. These included W.S. Jevons who presented paper on a "general mathematical theory of political economy" in 1862, providing an outline for use of the theory of marginal utility in political economy. In 1871, he published The Principles of Political Economy, declaring that the subject as science "must be mathematical simply because it deals with quantities." Jevons expected the only collection of statistics for price and quantities would permit the subject as presented to become an exact science. Others preceded and followed in expanding mathematical representations of economic problems. Edgeworth introduced mathematical elements to Economics explicitly in Mathematical Psychics: An Essay on the Application of Mathematics to the Moral Sciences, published in 1881. He adopted Jeremy Bentham's felicific calculus to economic behavior, allowing the outcome of each decision to be converted into a change in utility. Using this assumption, Edgeworth built a model of exchange on three assumptions: individuals are self-interested, individuals act to maximize utility, and individuals are "free to recontract with another independently of...any third party." Edgeworth devoted considerable effort to insisting that mathematical proofs were appropriate for all schools of thought in economics. While at the helm of The Economic Journal, he published several articles criticizing the mathematical rigor of rival researchers, including Edwin Robert Anderson Seligman, a noted skeptic of mathematical economics. The articles focused on a back and forth over tax incidence and responses by producers. Edgeworth noticed that a monopoly producing a good that had jointness of supply but not jointness of demand (such as first class and economy on an airplane, if the plane flies, both sets of seats fly with it) might actually lower the price seen by the consumer for one of the two commodities if a tax were applied. Common sense and more traditional, numerical analysis seemed to indicate that this was preposterous. Seligman insisted that the results Edgeworth achieved were a quirk of his mathematical formulation. He suggested that the assumption of a continuous demand function and an infinitesimal change in the tax resulted in the paradoxical predictions. Harold Hotelling later showed that Edgeworth was correct and that the same result (a "diminution of price as a result of the tax") could occur with a discontinuous demand function and large changes in the tax rate. j(.) ( = 1, ..., ) are the functions of the equality constraints. It was in the course of proving of the existence of an optimal equilibrium in his 1937 model of economic growth that John von Neumann introduced functional analytic methods to include topology in economic theory, in particular, fixed-point theory through his generalization of Brouwer's fixed-point theorem. Following von Neumann's program, Kenneth Arrow and Gérard Debreu formulated abstract models of economic equilibria using convex sets and fixed–point theory. In introducing the Arrow–Debreu model in 1954, they proved the existence (but not the uniqueness) of an equilibrium and also proved that every Walras equilibrium is Pareto efficient; in general, equilibria need not be unique. In their models, the ("primal") vector space represented quantitites while the "dual" vector space represented prices. In Russia, the mathematician Leonid Kantorovich developed economic models in partially ordered vector spaces, that emphasized the duality between quantities and prices. Kantorovich renamed prices as "objectively determined valuations" which were abbreviated in Russian as "o. o. o. ", alluding to the difficulty of discussing prices in the Soviet Union. Even in finite dimensions, the concepts of functional analysis have illuminated economic theory, particularly in clarifying the role of prices as normal vectors to a hyperplane supporting a convex set, representing production or consumption possibilities. However, problems of describing optimization over time or under uncertainty require the use of infinite–dimensional function spaces, because agents are choosing among functions or stochastic processes. However, the decline of differential calculus should not be exaggerated, because differential calculus has always been used in graduate training and in applications. Moreover, differential calculus has returned to the highest levels of mathematical economics, general equilibrium theory (GET), as practiced by the "GET-set" (the humorous designation due to Jacques H. Drèze). In the 1960s and 1970s, however, Gérard Debreu and Stephen Smale led a revival of the use of differential calculus in mathematical economics. In particular, they were able to prove the existence of a general equilibrium, where earlier writers had failed, because of their novel mathematics: Baire category from general topology and Sard's lemma from differential topology. Other economists associated with the use of differential analysis include Egbert Dierker, Andreu Mas-Colell, and Yves Balasko. These advances have changed the traditional narrative of the history of mathematical economics, following von Neumann, which celebrated the abandonment of differential calculus. See also: Cooperative game; Noncooperative game; John von Neumann; Theory of Games and Economic Behavior; and John Forbes Nash, Jr.
Agent-based computational economics (ACE) as a named field is relatively recent, dating from about the 1990s as to published work. It studies economic processes, including whole economies, as dynamic systems of interacting agents over time. As such, it falls in the paradigm of complex adaptive systems. In corresponding agent-based models, agents are not real people but "computational objects modeled as interacting according to rules" ... "whose micro-level interactions create emergent patterns" in space and time. The rules are formulated to predict behavior and social interactions based on incentives and information. The theoretical assumption of mathematical optimization by agents markets is replaced by the less restrictive postulate of agents with bounded rationality adapting to market forces. ACE models apply numerical methods of analysis to computer-based simulations of complex dynamic problems for which more conventional methods, such as theorem formulation, may not find ready use. Starting from specified initial conditions, the computational economic system is modeled as evolving over time as its constituent agents repeatedly interact with each other. In these respects, ACE has been characterized as a bottom-up culture-dish approach to the study of the economy. 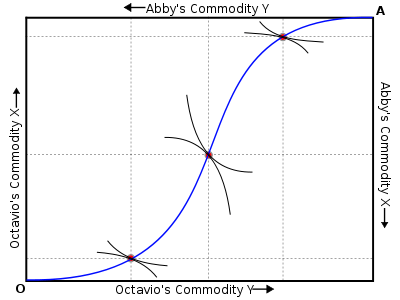 In contrast to other standard modeling methods, ACE events are driven solely by initial conditions, whether or not equilibria exist or are computationally tractable. ACE modeling, however, includes agent adaptation, autonomy, and learning. It has a similarity to, and overlap with, game theory as an agent-based method for modeling social interactions. Other dimensions of the approach include such standard economic subjects as competition and collaboration, market structure and industrial organization, transaction costs, welfare economics and mechanism design, information and uncertainty, and macroeconomics. The method is said to benefit from continuing improvements in modeling techniques of computer science and increased computer capabilities. Issues include those common to experimental economics in general and by comparison and to development of a common framework for empirical validation and resolving open questions in agent-based modeling. The ultimate scientific objective of the method has been described as "test[ing] theoretical findings against real-world data in ways that permit empirically supported theories to cumulate over time, with each researcher's work building appropriately on the work that has gone before." The surface of the Volatility smile is a 3-D surface whereby the current market implied volatility (Z-axis) for all options on the underlier is plotted against strike price and time to maturity (X & Y-axes). The IS/LM model is a Keynesian macroeconomic model designed to make predictions about the intersection of "real" economic activity (e.g. spending, income, savings rates) and decisions made in the financial markets (Money supply and Liquidity preference). The model is no longer widely taught at the graduate level but is common in undergraduate macroeconomics courses. The Handbook of Mathematical Economics series (Elsevier), currently 4 volumes, distinguishes between mathematical methods in economics, v. 1, Part I, and areas of economics in other volumes where mathematics is employed. Mathematical Methods (42 listed, such as "calculus of variations", "catastrophe theory", "combinatorics," "computation of general equilibrium", "convexity", "convex programming", and "stochastic optimal control"). A widely used system in economics that includes mathematical methods on the subject is the JEL classification codes. It originated in the Journal of Economic Literature for classifying new books and articles. The relevant categories are listed below (simplified below to omit "Miscellaneous" and "Other" JEL codes), as reproduced from JEL classification codes#Mathematical and quantitative methods JEL: C Subcategories. The New Palgrave Dictionary of Economics (2008, 2nd ed.) also uses the JEL codes to classify its entries. The corresponding footnotes below have links to abstracts of The New Palgrave Online for each JEL category (10 or fewer per page, similar to Google searches). In response to these criticisms, Paul Samuelson argued that mathematics is a language, repeating a thesis of Josiah Willard Gibbs. In economics, the language of mathematics is sometimes necessary for representing substantive problems. Moreover, mathematical economics has led to conceptual advances in economics. In particular, Samuelson gave the example of microeconomics, writing that "few people are ingenious enough to grasp [its] more complex parts... without resorting to the language of mathematics, while most ordinary individuals can do so fairly easily with the aid of mathematics." Prominent mathematical economists include, but are not limited to, the following (by century of birth). ↑ Elaborated at the JEL classification codes, Mathematical and quantitative methods JEL: C Subcategories. 1 2 Chiang, Alpha C.; Kevin Wainwright (2005). Fundamental Methods of Mathematical Economics. McGraw-Hill Irwin. pp. 3–4. ISBN 0-07-010910-9. TOC. ↑ Debreu, Gérard ( 2008). "mathematical economics", section II, The New Palgrave Dictionary of Economics, 2nd Edition. Abstract. Republished with revisions from 1986, "Theoretic Models: Mathematical Form and Economic Content", Econometrica, 54(6), pp. 1259-1270. Hildenbrand, Werner, and Hugo Sonnenschein, ed. (1991). v. 4. • Glaister, Stephen (1984). Mathematical Methods for Economists, 3rd ed., Blackwell. Contents. • Takayama, Akira (1985). Mathematical Economics, 2nd ed. Cambridge. Description and Contents. • Michael Carter (2001). Foundations of Mathematical Economics, MIT Press. Description and Contents. ↑ Chiang, Alpha C. (1992). Elements of Dynamic Optimization, Waveland. TOC & Amazon.com link to inside, first pp. 1 2 3 4 • Debreu, Gérard ( 2008). "mathematical economics", The New Palgrave Dictionary of Economics, 2nd Edition. Abstract. Republished with revisions from 1986, "Theoretic Models: Mathematical Form and Economic Content", Econometrica, 54(6), pp. 1259-1270. • von Neumann, John, and Oskar Morgenstern (1944). Theory of Games and Economic Behavior. Princeton University Press. ↑ Schumpeter, J.A. (1954). Elizabeth B. Schumpeter, ed. History of Economic Analysis. New York: Oxford University Press. pp. 209–212. ISBN 978-0-04-330086-2. OCLC 13498913. ↑ Schnieder, Erich (1934). "Johann Heinrich von Thünen". Econometrica. The Econometric Society. 2 (1): 1–12. doi:10.2307/1907947. ISSN 0012-9682. JSTOR 1907947. OCLC 35705710. ↑ Philip Mirowski, 1991. "The When, the How and the Why of Mathematical Expression in the History of Economics Analysis", Journal of Economic Perspectives, 5(1) pp. 145-157. ↑ Weintraub, E. Roy (2008). "mathematics and economics", The New Palgrave Dictionary of Economics, 2nd Edition. Abstract. ↑ Jevons, W.S. (1866). "Brief Account of a General Mathematical Theory of Political Economy", Journal of the Royal Statistical Society, XXIX (June) pp. 282-87. Read in Section F of the British Association, 1862. PDF. ↑ Jevons, W. Stanley (1871). The Principles of Political Economy, pp. 4, 25. 1 2 Sheila C., Dow (1999-05-21). "The Use of Mathematics in Economics". ESRC Public Understanding of Mathematics Seminar. Birmingham: Economic and Social Research Council. Retrieved 2008-07-06. ↑ While the concept of cardinality has fallen out of favor in neoclassical economics, the differences between cardinal utility and ordinal utility are minor for most applications. 1 2 Nicola, PierCarlo (2000). Mainstream Mathermatical Economics in the 20th Century. Springer. p. 4. ISBN 978-3-540-67084-1. Retrieved 2008-08-21. ↑ Augustin Cournot (1838, tr. 1897) Researches into the Mathematical Principles of Wealth. Links to description and chapters. 1 2 Hotelling, Harold (1990). "Stability in Competition". In Darnell, Adrian C. The Collected Economics Articles of Harold Hotelling. Springer. pp. 51, 52. ISBN 3-540-97011-8. OCLC 20217006. Retrieved 2008-08-21. ↑ "Antoine Augustin Cournot, 1801-1877". The History of Economic Thought Website. The New School for Social Research. Retrieved 2008-08-21. ↑ Gibbons, Robert (1992). Game Theory for Applied Economists. Princeton, New Jersey: Princeton University Press. pp. 14, 15. ISBN 0-691-00395-5. ↑ Edgeworth, Francis Ysidro (September 5, 1889). "The Mathematical Theory of Political Economy: Review of Léon Walras, Éléments d'économie politique pure" (PDF). Nature. 40 (1036): 434–436. doi:10.1038/040434a0. ISSN 0028-0836. Retrieved 2008-08-21. ↑ Nicholson, Walter; Snyder, Christopher, p. 350-353. ↑ Dixon, Robert. "Walras Law and Macroeconomics". Walras Law Guide. Department of Economics, University of Melbourne. Archived from the original on April 17, 2008. Retrieved 2008-09-28. ↑ Dixon, Robert. "A Formal Proof of Walras Law". Walras Law Guide. Department of Economics, University of Melbourne. Archived from the original on April 30, 2008. Retrieved 2008-09-28. ↑ Rima, Ingrid H. (1977). "Neoclassicism and Dissent 1890-1930". In Weintraub, Sidney. Modern Economic Thought. University of Pennsylvania Press. pp. 10, 11. ISBN 0-8122-7712-0. ↑ Gillies, D. B. (1969). "Solutions to general non-zero-sum games". In Tucker, A. W.; Luce, R. D. Contributions to the Theory of Games. Annals of Mathematics. 40. Princeton, New Jersey: Princeton University Press. pp. 47–85. ISBN 978-0-691-07937-0. ↑ Moss, Lawrence S. (2003). "The Seligman-Edgeworth Debate about the Analysis of Tax Incidence: The Advent of Mathematical Economics, 1892–1910". History of Political Economy. Duke University Press. 35 (2): 207, 212, 219, 234–237. doi:10.1215/00182702-35-2-205. ISSN 0018-2702. ↑ Hotelling, Harold (1990). "Note on Edgeworth's Taxation Phenomenon and Professor Garver's Additional Condition on Demand Functions". In Darnell, Adrian C. The Collected Economics Articles of Harold Hotelling. Springer. pp. 94–122. ISBN 3-540-97011-8. OCLC 20217006. Retrieved 2008-08-26. ↑ Herstein, I.N. (October 1953). "Some Mathematical Methods and Techniques in Economics". Quarterly of Applied Mathematics. American Mathematical Society. 11 (3): 249, 252, 260. ISSN 1552-4485. [Pp. 249-62. • Blaug, Mark (2007). "The Fundamental Theorems of Modern Welfare Economics, Historically Contemplated". History of Political Economy. Duke University Press. 39 (2): 186–188. doi:10.1215/00182702-2007-001. ISSN 0018-2702. ↑ Metzler, Lloyd (1948). "Review of Foundations of Economic Analysis". American Economic Review. The American Economic Review, Vol. 38, No. 5. 38 (5): 905–910. ISSN 0002-8282. JSTOR 1811704. 1 2 3 Neumann, J. von (1937). "Über ein ökonomisches Gleichungssystem und ein Verallgemeinerung des Brouwerschen Fixpunktsatzes", Ergebnisse eines Mathematischen Kolloquiums, 8, pp. 73-83, translated and published in 1945-46, as "A Model of General Equilibrium", Review of Economic Studies, 13, pp. 1–9. ↑ • Rockafellar, R. Tyrrell (1967). Monotone processes of convex and concave type. Memoirs of the American Mathematical Society. Providence, R.I.: American Mathematical Society. pp. i+74. • Rockafellar, R. T. (1974). "Convex algebra and duality in dynamic models of production". In Josef Loz; Maria Loz. Mathematical models in economics (Proc. Sympos. and Conf. von Neumann Models, Warsaw, 1972). Amsterdam: North-Holland and Polish Adademy of Sciences (PAN). pp. 351–378. 1 2 Schmedders, Karl (2008). "numerical optimization methods in economics", The New Palgrave Dictionary of Economics, 2nd Edition, v. 6, pp. 138-57. Abstract. 1 2 Dixit, A. K. ( 1990). Optimization in Economic Theory, 2nd ed., Oxford. Description and contents preview. • Kuhn, H. W.; Tucker, A. W. (1951). "Nonlinear programming". Proceedings of 2nd Berkeley Symposium. Berkeley: University of California Press. pp. 481–492. • Vapnyarskii, I.B. (2001), "Lagrange multipliers", in Hazewinkel, Michiel, Encyclopedia of Mathematics, Springer, ISBN 978-1-55608-010-4 . • Lasdon, Leon S. (1970). Optimization theory for large systems. Macmillan series in operations research. New York: The Macmillan Company. pp. xi+523. MR 337317. • Lasdon, Leon S. (2002). Optimization theory for large systems (reprint of the 1970 Macmillan ed.). Mineola, New York: Dover Publications, Inc. pp. xiii+523. MR 1888251. • Hiriart-Urruty, Jean-Baptiste; Lemaréchal, Claude (1993). "XII Abstract duality for practitioners". 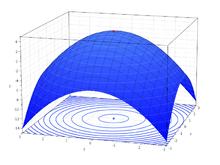 Convex analysis and minimization algorithms, Volume II: Advanced theory and bundle methods. Grundlehren der Mathematischen Wissenschaften [Fundamental Principles of Mathematical Sciences]. 306. Berlin: Springer-Verlag. pp. 136–193 (and Bibliographical comments on pp. 334–335). ISBN 3-540-56852-2. MR 1295240. 1 2 Lemaréchal, Claude (2001). "Lagrangian relaxation". In Michael Jünger; Denis Naddef. Computational combinatorial optimization: Papers from the Spring School held in Schloß Dagstuhl, May 15–19, 2000. Lecture Notes in Computer Science. 2241. Berlin: Springer-Verlag. pp. 112–156. doi:10.1007/3-540-45586-8_4. ISBN 3-540-42877-1. MR 1900016. ↑ Weintraub, E. Roy (1977). "General Equilibrium Theory". In Weintraub, Sidney. Modern Economic Thought. University of Pennsylvania Press. pp. 107–109. ISBN 0-8122-7712-0. • Arrow, Kenneth J.; Debreu, Gérard (1954). "Existence of an equilibrium for a competitive economy". Econometrica. The Econometric Society. 22 (3): 265–290. doi:10.2307/1907353. ISSN 0012-9682. JSTOR 1907353. 1 2 3 Kantorovich, Leonid, and Victor Polterovich (2008). "Functional analysis", in S. Durlauf and L. Blume, ed., The New Palgrave Dictionary of Economics, 2nd Edition. Abstract., ed., Palgrave Macmillan. ↑ Kantorovich, L. V (1990). ""My journey in science (supposed report to the Moscow Mathematical Society)" [expanding Russian Math. Surveys 42 (1987), no. 2, pp. 233–270]". In Lev J. Leifman. Functional analysis, optimization, and mathematical economics: A collection of papers dedicated to the memory of Leonid Vitalʹevich Kantorovich. New York: The Clarendon Press, Oxford University Press. pp. 8–45. ISBN 0-19-505729-5. MR 898626. ↑ Page 406: Polyak, B. T. (2002). "History of mathematical programming in the USSR: Analyzing the phenomenon (Chapter 3 The pioneer: L. V. Kantorovich, 1912–1986, pp. 405–407)". Mathematical Programming. Series B. 91 (ISMP 2000, Part 1 (Atlanta, GA), number 3). pp. 401–416. doi:10.1007/s101070100258. MR 1888984. ↑ "Leonid Vitaliyevich Kantorovich — Prize Lecture ("Mathematics in economics: Achievements, difficulties, perspectives")". Nobelprize.org. Retrieved 12 Dec 2010. ↑ Aliprantis, Charalambos D.; Brown, Donald J.; Burkinshaw, Owen (1990). Existence and optimality of competitive equilibria. Berlin: Springer–Verlag. pp. xii+284. ISBN 3-540-52866-0. MR 1075992. 1 2 Neumann, John von, and Oskar Morgenstern (1944) Theory of Games and Economic Behavior, Princeton. ↑ Mas-Colell, Andreu (1985). The Theory of general economic equilibrium: A differentiable approach. Econometric Society monographs. Cambridge UP. ISBN 0-521-26514-2. MR 1113262. • Plott, Charles R., and Vernon L. Smith, ed. (2008). Handbook of Experimental Economics Results, v. 1, Elsevier, Part 4, Games, ch. 45-66 preview links. ↑ • Shubik, Martin (1981). "Game Theory Models and Methods in Political Economy", in Handbook of Mathematical Economics,, v. 1, pp. 285-330. • Nisan, Noam, and Amir Ronen (2001). "Algorithmic Mechanism Design", Games and Economic Behavior, 35(1-2), pp. 166–196. 1 2 • Halpern, Joseph Y. (2008). "computer science and game theory", The New Palgrave Dictionary of Economics, 2nd Edition. Abstract. ↑ Sandholm, Tuomas W., and Victor R. Lesser (2001). "Leveled Commitment Contracts and Strategic Breach", Games and Economic Behavior, 35(1-2), pp. 212-270. ↑ Liner, Gaines H. (2002). "Core Journals in Economics". Economic Inquiry. Oxford University Press. 40 (1): 140. doi:10.1093/ei/40.1.138. ↑ Stigler et al. reviewed journal articles in core economic journals (as defined by the authors but meaning generally non-specialist journals) throughout the 20th century. Journal articles which at any point used geometric representation or mathematical notation were noted as using that level of mathematics as its "highest level of mathematical technique". The authors refer to "verbal techniques" as those which conveyed the subject of the piece without notation from geometry, algebra or calculus. ↑ Sutter, Daniel and Rex Pjesky. "Where Would Adam Smith Publish Today? : The Near Absence of Math-free Research in Top Journals" (May 2007). ↑ Arrow, Kenneth J. (April 1960). "The Work of Ragnar Frisch, Econometrician". Econometrica. Blackwell Publishing. 28 (2): 175–192. doi:10.2307/1907716. ISSN 0012-9682. JSTOR 1907716. ↑ Bjerkholt, Olav (July 1995). "Ragnar Frisch, Editor of Econometrica 1933-1954". Econometrica. Blackwell Publishing. 63 (4): 755–765. doi:10.2307/2171799. ISSN 0012-9682. JSTOR 1906940. ↑ Lange, Oskar (1945). "The Scope and Method of Economics". Review of Economic Studies. The Review of Economic Studies Ltd. 13 (1): 19–32. doi:10.2307/2296113. ISSN 0034-6527. JSTOR 2296113. ↑ Aldrich, John (January 1989). "Autonomy". Oxford Economic Papers. Oxford University Press. 41 (1, History and Methodology of Econometrics): 15–34. ISSN 0030-7653. JSTOR 2663180. ↑ Epstein, Roy J. (1987). A History of Econometrics. Contributions to Economic Analysis. North-Holland. pp. 13–19. ISBN 978-0-444-70267-8. OCLC 230844893. ↑ Colander, David C. (2004). "The Strange Persistence of the IS-LM Model". History of Political Economy. Duke University Press. 36 (Annual Supplement): 305–322. doi:10.1215/00182702-36-Suppl_1-305. ISSN 0018-2702. ↑ Brems, Hans (October 1975). "Marshall on Mathematics". Journal of Law and Economics. University of Chicago Press. 18 (2): 583–585. doi:10.1086/466825. ISSN 0022-2186. JSTOR 725308. ↑ Frigg, R.; Hartman, S. (February 27, 2006). Edward N. Zalta, ed. Models in Science. Stanford Encyclopedia of Philosophy. Stanford, California: The Metaphysics Research Lab. ISSN 1095-5054. Retrieved 2008-08-16. • Werner Hildenbrand and Hugo Sonnenschein, ed. (1991). v. 4..
↑ The JEL Classification Codes Guide for JEL: 6 has this comment: "Covers studies about general issues related to mathematical methods that are of interest to economists." ↑ "Search results". Dictionaryofeconomics.com. Retrieved 2016-09-16. ↑ Hayek, Friedrich (September 1945). "The Use of Knowledge in Society". American Economic Review. 35 (4): 519–530. JSTOR 1809376. ↑ Heilbroner, Robert (May–June 1999). "The end of the Dismal Science?". Challenge Magazine. ↑ Boland, L. A. (2007). "Seven Decades of Economic Methodology". In I. C. Jarvie; K. Milford; D.W. Miller. Karl Popper:A Centenary Assessment. London: Ashgate Publishing. p. 219. ISBN 978-0-7546-5375-2. Retrieved 2008-06-10. ↑ Beed, Clive; Kane, Owen (1991). "What Is the Critique of the Mathematization of Economics?". Kyklos. 44 (4): 581–612. doi:10.1111/j.1467-6435.1991.tb01798.x. ↑ Friedman, Milton (1953). Essays in Positive Economics. Chicago: University of Chicago Press. pp. 30, 33, 41. ISBN 978-0-226-26403-5. ↑ Keynes, John Maynard (1936). The General Theory of Employment, Interest and Money. Cambridge: Macmillan. p. 297. ISBN 0-333-10729-2. ↑ Paul A. Samuelson (1952). "Economic Theory and Mathematics — An Appraisal", American Economic Review, 42(2), pp. 56, 64-65 (press +). ↑ D.W. Bushaw and R.W. Clower (1957). Introduction to Mathematical Economics, p. vii. ↑ Solow, Robert M. (20 March 1988). "The Wide, Wide World Of Wealth (The New Palgrave: A Dictionary of Economics. Edited by John Eatwell, Murray Milgate and Peter Newman. Four volumes. 4,103 pp. New York: Stockton Press. $650)". New York Times. Alpha C. Chiang and Kevin Wainwright,  2005. Fundamental Methods of Mathematical Economics, McGraw-Hill Irwin. Contents. E. Roy Weintraub, 1982. Mathematics for Economists, Cambridge. Contents. Stephen Glaister, 1984. Mathematical Methods for Economists, 3rd ed., Blackwell. Contents. Akira Takayama, 1985. Mathematical Economics, 2nd ed. Cambridge. Contents. Nancy L. Stokey and Robert E. Lucas with Edward Prescott, 1989. Recursive Methods in Economic Dynamics, Harvard University Press. Desecription and chapter-preview links. A. K. Dixit,  1990. Optimization in Economic Theory, 2nd ed., Oxford. Description and contents preview. Kenneth L. Judd, 1998. Numerical Methods in Economics, MIT Press. Description and chapter-preview links. Michael Carter, 2001. Foundations of Mathematical Economics, MIT Press. Contents. Ferenc Szidarovszky and Sándor Molnár, 2002. Introduction to Matrix Theory: With Applications to Business and Economics, World Scientific Publishing. Description and preview. D. Wade Hands, 2004. Introductory Mathematical Economics, 2nd ed. Oxford. Contents. Giancarlo Gandolfo,  2009. Economic Dynamics, 4th ed., Springer. Description and preview. John Stachurski, 2009. Economic Dynamics: Theory and Computation, MIT Press. Description and preview. 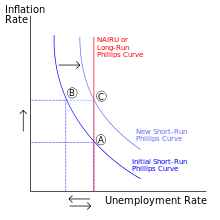 Look up mathematical economics in Wiktionary, the free dictionary.